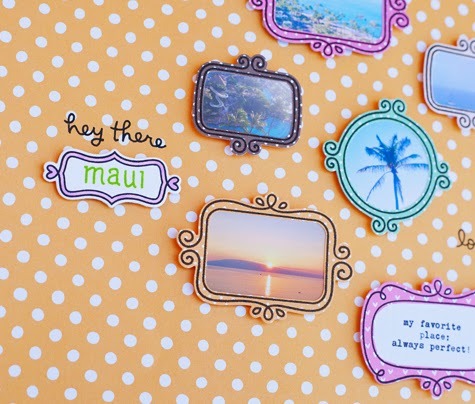 Jumping right into scrappy stuff: Lawn Fawn is having its monthly inspiration week right now. That means loads of eye candy and loads of giveaways. 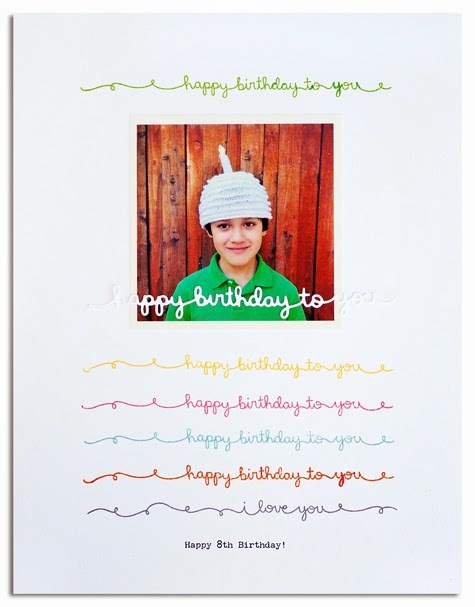 This layout features all new Winter CHA stuff: Scripty Sayings stamps, Happy Birthday border die, and Lawn Fawn Fundamentals dye ink. 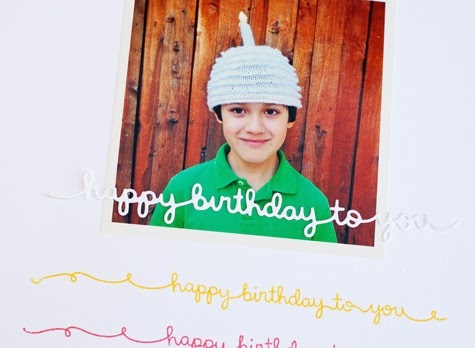 And it features my littlest wearing the birthday hat I knit for his first birthday. He wears it on his birthday every year. It barely fits him now, but as long as he lets me, I'm going to keep stretching it over his noggin on his special day. 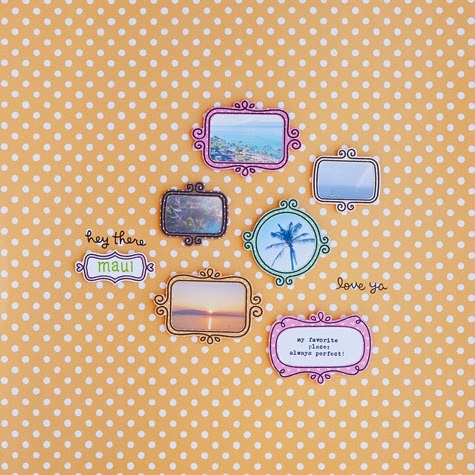 This one also uses new goodies: Flirty Frames stamps, and Let's Polka, Mon Amie papers. Bad news: these new products won't be available until February 19. Great news: you can win them by entering the giveaways on the Lawn Fawn blog. So hop over there right now and leave a comment for a chance to win. Don't forget to scroll down to each day of the Inspiration Week. Thanks for stopping by! Here's to more blogging in 2015.